Facebook announced a new search engine called “Graph Search” at a much-anticipated press event at its Menlo Park headquarters this morning. Facebook CEO Mark Zuckerberg says the search engine would leverage Facebook’s one billion members’ 240 billion photos, and 1 trillion interpersonal connections. 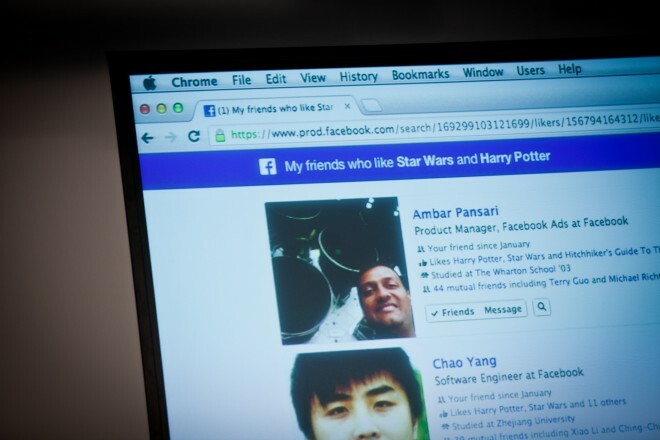 Zuckerberg said Graph Search is designed to handle more precise queries than general web search, like “Who are my friends who live in San Francisco, my friends who live in Palo Alto, California and like Game of Thrones, and Mexican restaurants in Palo Alto, CA my friends have been to, and friends who like Star Wars and Harry Potter?” As results come back, users can refine results using a control panel on the right side of the screen. The search engine was developed by a team led by Lars Rasmussen, who co-created Google Maps and Google Wave, and by Tom Stocky, Facebook’s director of product management. (See WIRED’s exclusive look at the inside story of its development.) 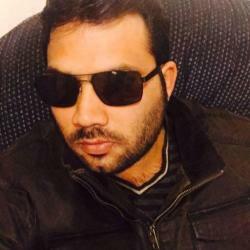 In a demonstration of the software, Stocky showed how Graph Search could be used for dating and matchmaking, typing the query “friends of friends who are single males in San Francisco California who are from India.” He also showed examples of searches recruiters might run, like “John Cumber’s friends who work at Google,” and “people who have been product managers and who have been founders.” Their official announcement is here. Marti Hearst, a professor specializing in search engines and information retrieval at the University of California, Berkeley, says Graph Search should prove useful for a narrow range of queries. 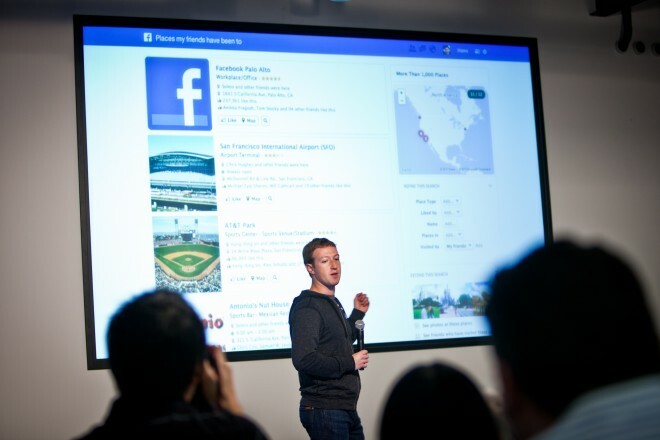 Graph Search could be a hugely lucrative product for Facebook. Because people who run web searches are often close to making a purchase decision, advertisers are very eager to place ads next to search results. Close to 80 percent of Google’s billions in revenue is derived from this type of advertising. Josh Elman, a former Facebook and Twitter product manager who is now a principal at the venture capital firm Greylock Partners, thinks Facebook will be able “To monetize incredibly well,” on Graph Search. That will happen, he adds, “Once Facebook changes enough behavior to create intention for searching for recommendations and items that result in a purchase. For the moment, Facebook is not running ads on Graph Search. “This could potentially be a business over time, but right now we’re focused on building a good user experience,” Zuckerberg says. Elman also thinks Graph Search will be adopted widely by Facebook users for certain use cases. “It’s pretty incredible,” he says. “We are just at the tip of the iceberg of the potential ways you can tap the information stored in your network… To help service existing FB queries for people this will get adopted quickly. Looking for friends in a given city, for friends with recent updates or photos, etc. “But I think it will take time to have people with intent look to Facebook for new queries like ‘I’m hungry, what are good restaurants?’ or ‘What movie should I see?’ But I think over time, people will realize that asking friends is as easy as just querying this. Facebook executives at today’s event hastened to add that Graph Search will be “privacy aware,” a nod to widespread consumer concerns about how much information Facebook has compiled about its users and how extensive its privacy controls are. The only results Graph Search will turn are things you could already see on Facebook, and privacy changes to content are instantly reflected in search. Tech writers have packed a Facebook auditorium for the event, having descended on the social network’s Menlo Park, California campus to “come and see what we’re building,” as Facebook’s invitation put it, ensuring a flurry of coverage. Wall Street had been expecting a lucrative new product, judging from the recent spike in the price of Facebook stock, which last week rose 9 percent to a new six-month high above $30. Facebook did a masterful, almost Apple-esque job of subtly hyping the event, sending out mysteriously worded e-mail invitations to tech journalists during the Consumer Electronics Show, just at the moment those journalists were starting to grow bored with the Las Vegas gadget bonanza. This led to a flurry of speculation and publicity.